Randy Stewart joined the full-time KSMU staff in June 1978 after working part-time as a student announcer/producer for two years. His job has evolved from Music Director in the early days to encompassing production of a wide range of arts-related programming and features for KSMU, including the online and Friday morning "Arts News." Stewart assists volunteer producers John Darkhorse (Route 66 Blues Express), Lee Worman (The Gold Ring), and Emily Higgins (The Mulberry Tree) with the production of their programs. He's also become the de facto "Voice of KSMU" in recent years due to the many hours per day he’s heard doing local station breaks. Stewart’s record of service on behalf of the Springfield arts community earned him the Springfield Regional Arts Council's "Ozzie Award" in 2006. As part of their mandate to provide programming that encourages family reading and literacy, since 2011 the non-profit Missouri Humanities Council has also provided opportunities for military veterans and their families in St. Louis, Kansas City and Springfield to participate in creative writing workshops. Springfield Ballet presents its 7th annual Young Choreographers Showcase Thursday, June 28 at 6:30 PM in the Springfield Art Museum auditorium. This student-produced production includes original ballet, modern and jazz choreography as well as improvised dance inspired by works at Springfield Art Museum. Shakespeare at the Columns Presents "Much Ado About Nothing"
Since 2013, Actors Theatre of Missouri has presented the works of William Shakespeare at the Springfield Art Museum with their "Shakespeare at the Columns" series at the Art Museum's outdoor amphitheatre--weather permitting, of course. 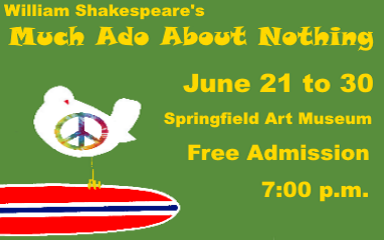 Their Shakespeare plays are free and open to the public. Since their first production of "Romeo and Juliet," over 2,500 audience members have seen Shakespeare's works brought to life by Actors Theatre's actors, designers, and technicians. 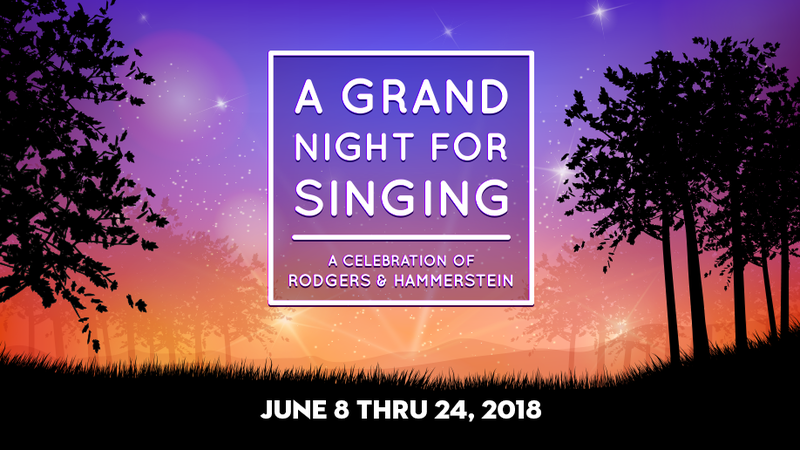 Springfield Contemporary Theatre at SCT Center Stage in Wilhoit Plaza (corner of Pershing and Robberson downtown) opens its 2018-19 season TONIGHT (Fri June 8) with "A Grand Night for Singing," a musical revue featuring songs by two of musical theatre's greatest songwriters, Richard Rodgers and Oscar Hammerstein II, who created some of the most romantic music in the Great American Songbook. Behind the plots, characters, carnivals and surreys with the fringe on top are beautiful stories about people falling in – and out – of love.